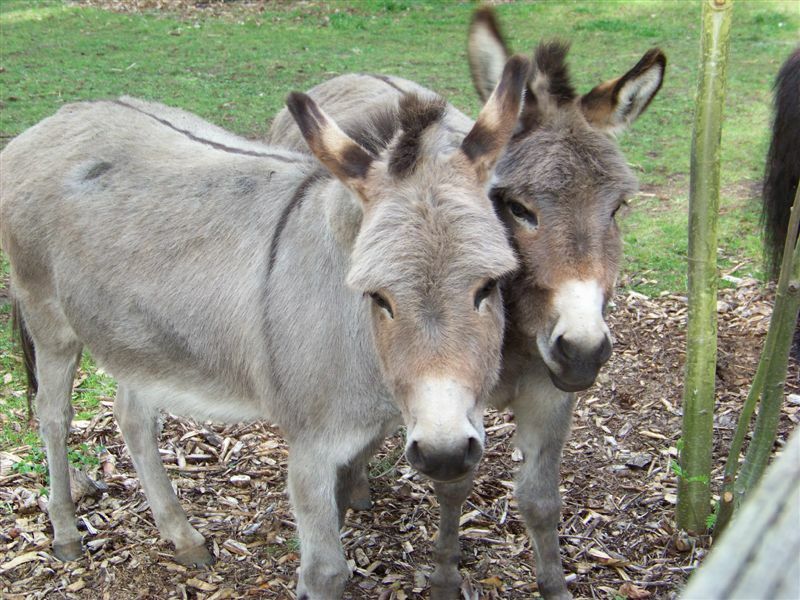 This little duo of beautiful donkey jennys were adopted in August of 2016. After first arriving at Equine Aid in 2008, they were soon adopted to a wonderful home across the Puget Sound . Unfortunately, their loving steward to returned them to us in March of 2016 due to unexpected family circumstances. They are both thirteen years old and in their prime. 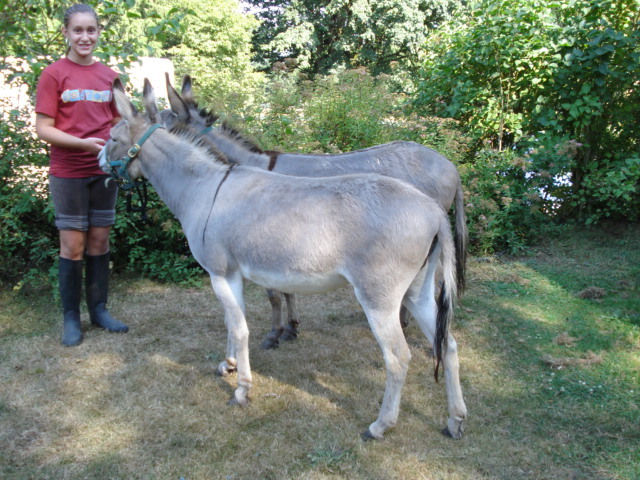 When Sweet Pea arrived in 2008, there was concern that hoof abscess were forming and causing her to limp. Our farrier treated both Sweet Pea and Rosebud the first week they were here to address any issues. They also were examined by our veterinarian and found to be in good health, just a bit chubby. 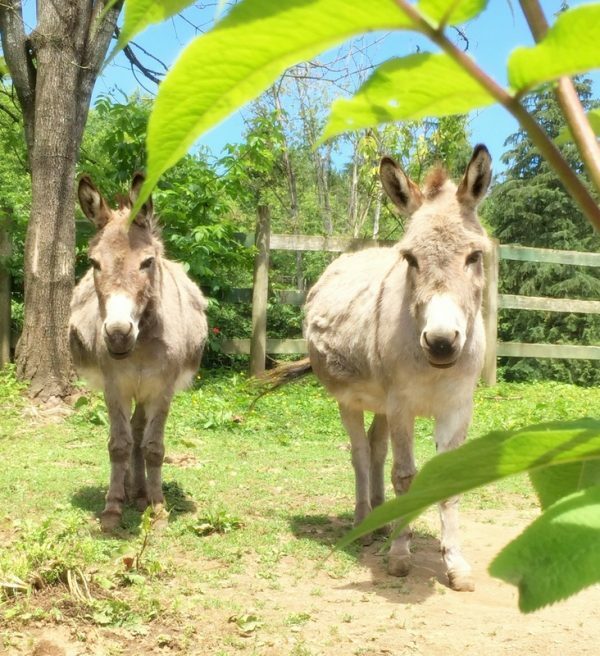 Sweet Pea and Rosebud are irresistibly sweet and we are delighted that they have a lovely new pasture to call home.